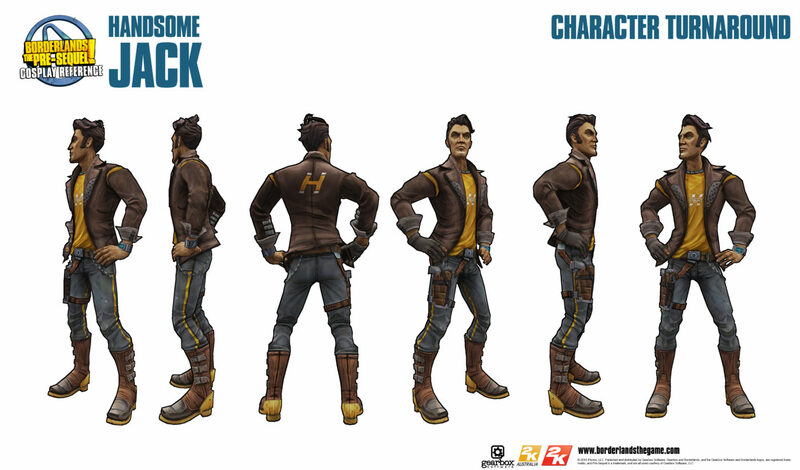 As we all know, Handsome Jack, antagonist of Borderlands 2, is set to be one of the good guys in 2K Australia and Gearbox’s upcoming shoot-and-loot title, Borderlands: The Pre-Sequel. However, what we don’t know is what lead Handsome Jack to become the tyrant he came to be in Borderlands 2, nor what he looks like, until now. This week’s cosplay guide for Borderlands: The Pre-Sequel features Handsome Jack himself. Aside from the weird looking pinky fingers, the model for Handsome Jack actually looks pretty cool. Additionally, judging from the reference guide, the vault symbol that was burned into the face of Handsome Jack as seen in the final moments of Borderlands 2 is missing. 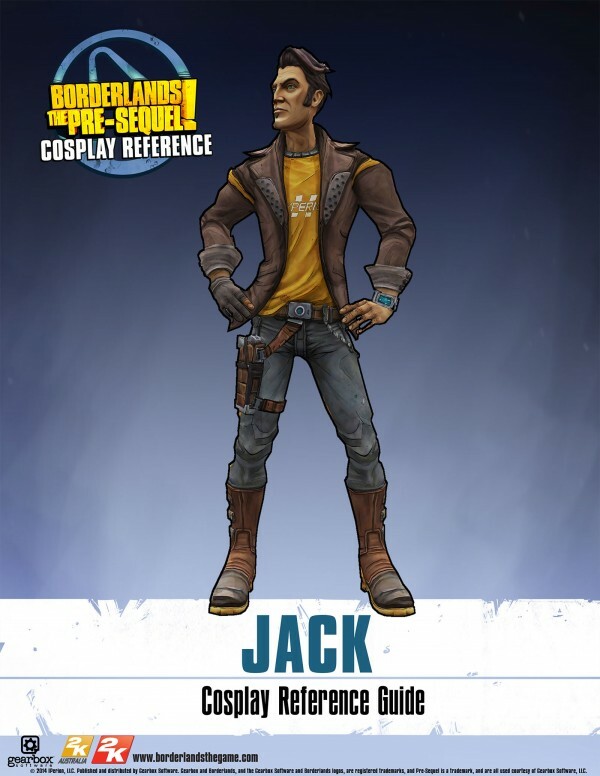 This may indicate that we actually get to find out how Handsome Jack gets imprinted with the vault symbol sometime in the story of Borderlands: The Pre-Sequel. Borderlands: The Pre-Sequel is set to release this Fall for the PC, PlayStation 3, and Xbox 360 platforms.